How common is plantar fasciitis? How do I tell if I have plantar fasciitis? Why does plantar fasciitis present like this? Does taping work on plantar fasciitis? How long does it take for the pain to go away after commencing treatment? Do I need custom orthotics to treat plantar fasciitis? Will a night splint help my plantar fasciitis? Does pronation cause plantar fasciitis? Should I stop exercising if I have plantar fasciitis? Why do I only have plantar fasciitis in one of my feet? Will my children get plantar fasciitis too? However, unlike many other ligaments, the plantar fascia is crucial to standing and walking, meaning it is under strain much of the time. As such, undue heel pain during or following normal standing and walking is one of the leading symptoms of plantar fasciitis. Very common, 1 in 10 people will develop plantar fasciitis in their lifetime. With simply standing and walking as a cause, it's no surprise plantar fasciitis is so common – especially in middle-aged people and people of any age who are on their feet a lot, such as military personnel, athletes, hospital staff and tradesmen. Another reason plantar fasciitis is so common is because there are so many factors that can contribute to its development. Everything from your gait, ankle strength, body weight, exercise level and choice of footwear can play a role. And often, simply ageing itself grants no favours to our bones and joints. Some sufferers get plantar fasciitis in both feet, others just one – either way there is a classic set of symptoms. Do any of these sound like you? You’ve just woken up and as you get out of bed you find the first steps to be unusually painful. You’re watching a movie on the couch with your feet up, when you stand up as the credits roll you find your feet are aching and stiff. You’ve been on your feet at work for a few hours and as the day goes on the pain not only mounts but accelerates. You go about your daily life with mild foot pain that gets much, much worse when you climb stairs. You go jogging and you have some heel pain, but it seems to go away as you warm up only to return with a vengeance when your session is over. In the case of tissue trauma, when we rest or put our feet up, our injury repair cells and extra fluid travel to the traumatised area to begin tissue healing. When we suddenly get up or move after resting the fluid disperses, putting increased pressure on our surrounding nerves and soft tissue. This results in intense pain for the first few steps until the fluid spreads and the pressure reduces making it easier to walk. It is not practical to totally avoid standing and walking. The approach many people instinctively adopt is changing the way they walk, this, however, can lead to even worse problems as it can throw out the precise bio-mechanical balance of proper walking. It's a recipe for further complications, including leg, hip, knee, ankle and back pain. This is how plantar fasciitis, through its knock-on effects, can drastically hamper a normal active life. If plantar fasciitis goes untreated long enough, it can even lead to skeletal changes such as a heel spur. Clearly visible on X-rays, this bone growth extending from the heel at the anchor point of the plantar fascia ligament, is thought to develop in response to the constant strain. Essentially, if you have persistent heel pain, you should really talk to a doctor, podiatrist or sports physician. Feet that roll in too much – This could be due to pronation or flat feet. Feet that roll out too much – This could be due to supination or high arches. Walking, standing or running for long periods. Pregnancy is also a contributing factor to plantar fasciitis. Actually, it is two causes at once. First, the increase in weight puts extra pressure on feet. Second, one of the physiological changes of pregnancy is a loosening of the ligaments. In turn, this can lead to stretching of the plantar fascia ligament which can trigger the condition. Relieve symptoms to address the pain and inflammation. Promote full healing through addressing the causes of the plantar fascial strain. Preventative measures to ensure the plantar fascia ligament is not further damaged, including improving strength and flexibility and correcting foot posture. If you suffer from plantar fasciitis you may find that moving through the three stages of treatment can take up to a year. Yes, this is a long time, however 95 percent of people either recover from or are able to manage the condition without surgery and in most cases with the right treatment and advice the symptoms can reduce much sooner. Because plantar fasciitis has many possible causes (often more than one at a time) and because everyone's feet are different, the mix of treatment measures and their effectiveness is never the same from case to case. This does however give medical professionals a lot of options to work with. Surgery is always the very last resort. Because plantar fasciitis is often caused by how you walk, it is vital that your footwear is comfortable, supportive and suitable for your job or activity. Choosing the correct footwear, appropriate orthotics and supportive strapping can improve the way you walk through changing the alignment and pressure on your joints. 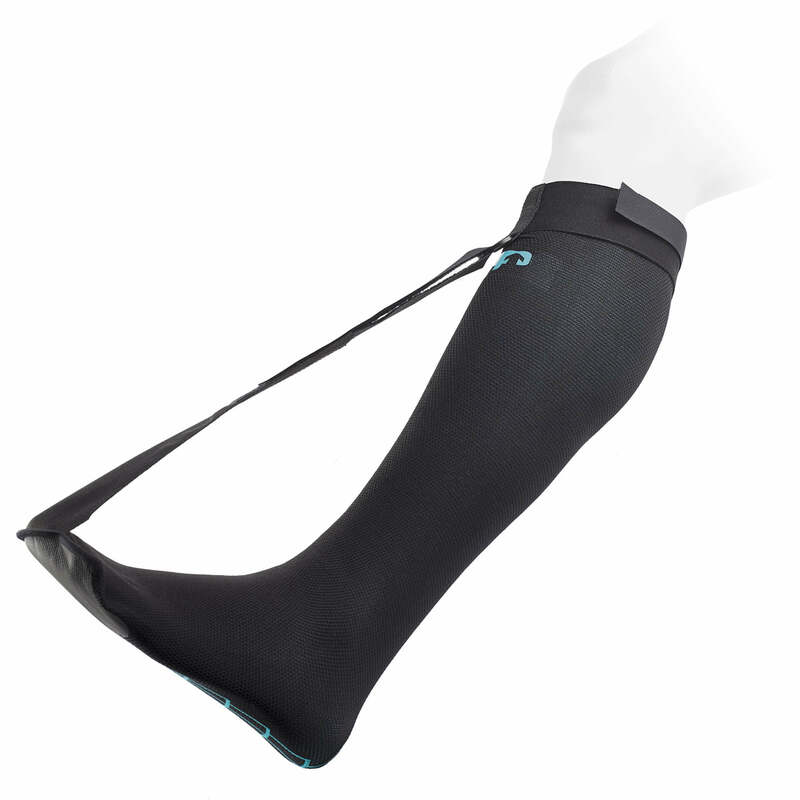 This alone can be highly effective in reducing plantar fasciitis strain and pain. There are 4 important factors to remember when shoe shopping. Click here to download our free e-book on plantar fasciitis which explains the four steps on selecting the correct shoe and bonus links to our most recommended shoe brands. If you are suffering from plantar fasciitis, you should visit your podiatrist for regular check-ups. This will include gait analysis (looking at how you walk), joint and muscle assessment to determine contributing factors and appropriate treatment. It is vital to have some form of physical treatment even if you start to feel better with a change of shoes or inserts as this may only provide temporary relief and the risk of plantar fasciitis can be extremely high if the cause and biomechanical dysfunction has not been addressed. This technique involves the gentle insertion of fine acupuncture needles into tight or spasmed muscles or soft tissue to reduce tension and tightness. This technique is also referred to as dry needling or trigger point release. Massage of the muscles in the foot and calf is often highly effective in addressing heel pain because the pain can often be referred from muscles higher up in the body ie calf, knee, hip and back. Treating plantar fasciitis with low level, painless laser involves using low-powered pulses to reduce both pain and inflammation, whilst improving circulation and reducing spasmed muscles or scar tissue. Laser works by creating a chemical reaction within the cells and studies have proven that this is carried systemically through the blood stream making this an effective modality for many chronic conditions and also proving that laser treats a much larger area than just the site of treatment. Corticosteroids are powerful anti-inflammatory agents that can be injected to specifically target problematic areas. While slightly invasive and unpleasant, it is nonetheless an effective and well-proven method to reduce pain and swelling associated with plantar fasciitis. Extracorporeal shockwave therapy (ESWT) works by sending sonic impulses into the affected area. It can often help reduce plantar fasciitis symptoms in cases that have not responded to other treatments. In prolotherapy, a concentrated combination of dextrose (a naturally occurring form of glucose) and local anaesthetic is precisely injected into the affected tissue. These careful injections stimulate natural healing and growth on a cellular level. Painkillers are effective in treating the heel pain symptoms of plantar fasciitis; however, they mask the severity of the conditions and do not address the cause. Over-the-counter painkillers, such as ibuprofen, are usually enough to help with the pain and your doctor may also prescribe stronger anti-inflammatories. Topical creams and natural health products can also help in reducing pain and inflammation. You can view our suggested range of products in our free e-book on surviving plantar fasciitis here. Can you have plantar fasciitis surgery? Yes, but it is not common; statistics report only approximately 5% of cases require surgical intervention. While generally not a major procedure, plantar fasciitis surgery is usually the last resort after all other treatment avenues have been explored and the pain continues to impede your daily life. As a mark of their reluctance for surgery, many specialists will attempt non-surgical treatments for at least 6-12 months before surgery is considered. Moreover, specialists also expect that non-surgical treatments can take up to 12 months to be fully effective. Plantar fascia release - a procedure that involves cutting part of the plantar fascia ligament to release tension and relieve the persistent inflammation. It is minimally invasive and usually done by endoscopy. Open surgeries are also carried out in rare cases. 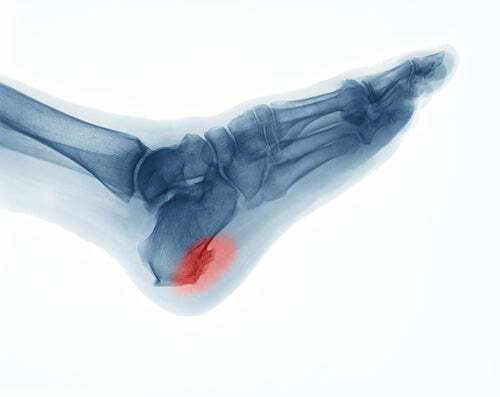 Heel spur removal - at the time of plantar fascia release surgery, some doctors also opt to remove the heel spur itself. In isolation, the spur is not usually a problem, but how it interacts with the ligament can cause problems. Heel spurs are generally quite small and the procedure is not significantly more involved than plantar fascia release. Stretching or loosening specific foot nerves - stretching or loosening foot nerves is referred to as neurolysis and completely removing or severing certain nerves is called a neurectomy. Both techniques aim to reduce painful stimulus. Common, quick and non-invasive, treating plantar fasciitis with insoles or orthotics is simple and effective. The insert in your shoe 'tunes' the bio-mechanical forces of your standing and walking to reduce tissue stress and improve the alignment of your joints, bones, muscles and tendons. However, there are so many different kinds available that it's difficult to find the right type for your foot and specific case of plantar fasciitis. In general, there are three kinds of plantar fasciitis insoles. 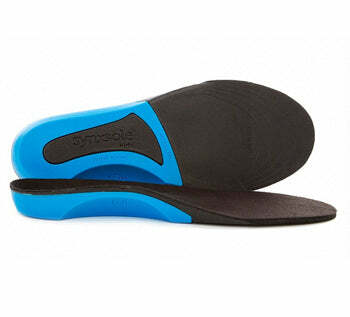 Most people will initially encounter off-the-shelf orthotics at pharmacies or sports stores. Usually the people buying them have not sought professional advice and their inserts are not customised. When shopping for these types of orthotics it is important to look for neutral orthotics such as Synxsole orthotics which are suited to all foot types i.e.– those that roll in (pronation) and those that roll out (supination). Without professional advice, you want to reduce the risk of causing further damage by choosing an orthotic that is safe and gentle and does not press up too much into the delicate arch area, especially given how tender and inflamed it can be with plantar fasciitis. Off-the-shelf orthotics can be a great starting point for anyone suffering from heel and arch pain. If pain persists, you should always consult your podiatrist or health professional with the inserts you have purchased as in some cases these can be modified according to your needs. This type of orthotic is usually encountered via consultation with your podiatrist where they are carefully matched according to your needs and foot type. They are then quickly customised by a trained professional while you wait by adding wedges, pads or raises ie.prescribed according to your individual needs. A casted orthotic is a one-off orthotic created specifically to treat your case of plantar fasciitis. This orthotics is prescribed after expert assessment by a podiatrist or health professional. As they are built from a cast of your actual foot, each is unique and offers the maximum effectiveness in treating your case. Customised orthotics are best for extreme foot types that have difficulty fitting into a prefabricated orthotic, i.e. severely pronated or supinated foot types. Cases who have responded well to prefabricated orthotics and are looking for a more permanent orthotic are good candidates for custom made orthotics as well as those with severe symptoms. 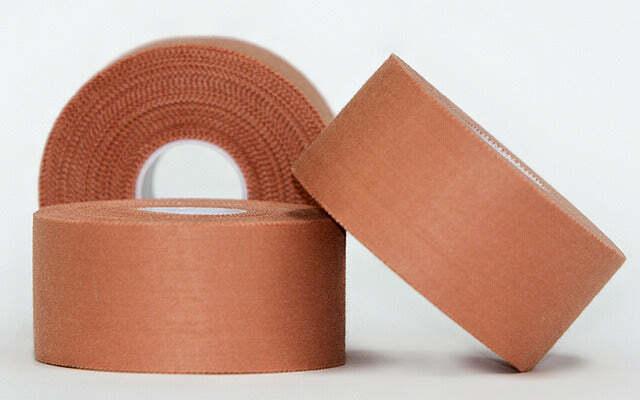 Rigid taping – A firm tape designed to restrict movement and is ideal for acute and extremely painful cases. Even though its adhesive is very strong, this tape must be replaced regularly and be kept dry when showering. The other negative is that it should not be used for long periods unless advised by your healthcare professional. Kinesiotaping – A flexible, stretchy tape that is designed to guide and assist joint movement and improve joint awareness while also enabling full joint range of motion. Kinesiotaping generally lasts longer between applications and can be worn in the shower. There is a growing trend for this type of taping with the most popular tape on the market called Rocktape. Rocktape has strong adhesive and is hypoallergenic making it a safe and superior choice. You can view our top 2 taping techniques for plantar fasciitis in our free e-book on surviving plantar fasciitis here. Plantar fasciitis can develop over time and not usually related to a single incident. Often, the root cause is the complex interaction of your entire biomechanical system – muscles, joints, bones, tendons and ligaments – as you go about everyday life. This, coupled with inappropriate footwear, increased activity or prolonged standing can exacerbate symptoms and lead to the condition. That being said, the appearance of plantar fasciitis pain can usually be traced to some ongoing change in your activities weeks or months beforehand. Perhaps you have been running more, trialing a new workout, gaining weight, walking barefoot on the beach, working long hours on your feet or climbing ladders – all can be risk factors in bringing a long-developing case of plantar fasciitis to the surface. How long does it take for the heel pain to subside? Plantar fasciitis is different for everyone, so the answer to how long the pain will take to respond to treatment is also different for everyone. Firstly, plantar fasciitis sometimes heals by itself. This is uncommon, as most of the time the pain stabilises or decreases over time with the right treatment plan. In the best-case scenario, full recovery can take approximately 6 weeks. Non-surgical treatment can last up to a year although many cases can generally resolve between 6-12 months. Do I need custom orthotics to cure my plantar fasciitis? Overwhelmingly, custom orthotics are not necessary to treat plantar fasciitis. If they are, it will be part of a multi-method treatment program that also addresses pain relief and prevention. I have a heel spur, does that mean I have plantar fasciitis? Maybe, but a heel spur is not always a problem by itself. In the past, a heel spur was thought to cause plantar fasciitis. These days, the opposite relationship is generally accepted: plantar fasciitis causes heel spur. Even so, heel spurs of themselves, often cause no problems or pain. In the case that a heel spur does need treatment, the approach is usually the same as treating plantar fasciitis. Will a night splint help with my plantar fasciitis? It certainly can, however there are no promises with plantar fasciitis. A night splint works by gently keeping the toes pulled back. This stretches the plantar fascia ligament and prevents it from contracting which generally occurs when we are resting and sleeping. Note: so long as you are lying down or seated, a night splint can also be worn in the daytime to provide more consistent treatment. Sometimes. Pronation is the normal 'rolling in' movement of the foot and ankle when it comes into contact with the ground. It is necessary to reduce the shock of walking or running that is transferred to the joints of the knee, hip, pelvis and spine. While some pronation is necessary, some people pronate too much and this overstretches their plantar fascia ligament, leading to plantar fasciitis. By the same token, excess supination or ‘rolling out’ can also increase pressure or strain on the plantar fascia, Achilles tendon and calf muscle leading to plantar fasciitis. No. Exercise is still a good idea and heel pain shouldn't stop you. It can however affect what exercises you do. Generally, you should dial back on the intensity of impact activities such as jogging and walking. I suggest introducing low-impact activities like swimming and pilates. It is also important to remember that weight gain from ceasing exercise can also have a negative affect in your recovery. Are there any exercises I can do to help me? Yes, your foot is a complex structure that supports your entire body weight. Like any other part of your body, it also needs strengthening. Your foot is made up of 4 layers of muscles and in order to increase the strength in all directions it is important to do a combination of lengthening and strengthening exercises. You can download your suggested exercises here in our free e-book on surviving plantar fasciitis. Why do I only have heel pain in one foot? It is normal for each of your feet to be different slightly in size and also common for your legs to be different lengths, which can affect the amount of time each heel has in contact with the ground. Further, as people have a naturally dominant leg, their feet are also different strengths. Thus, the way we move and how we distribute our weight is not actually in perfect balance. Over time, this difference can lead to one foot developing a condition, like plantar fasciitis, whilst the other foot can be completely unaffected by it. Foot types do run in families so if your foot mechanics have played a part in your diagnosis then there is a chance your child may experience similar symptoms. This is good news as it means targeted early prevention can be undertaken. If your child has any signs of flat feet or high arches or symptoms, then Synxsole kids has been designed to provide gentle arch support and reduce the stresses placed through the arch of the foot.